ca. 480 - 470 B.C. Side A: Odysseus and the Sirens (see other image). 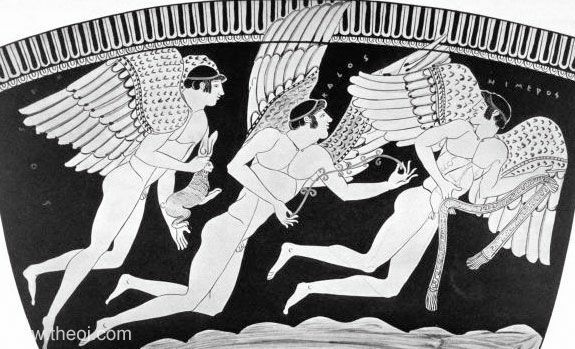 Side B: Three Erotes (winged love-gods) wing their way across the sea bearing love-gifts--a hare, a wreath and a sash. The names of the gods--Eros, Pothos and Himeros--are inscribed on the vase.